The German justice minister has called the organizers of the anti-Islamization PEGIDA rally to cancel their planned Monday demonstration, out of respect for the victims of the Charlie Hebdo shootings and the three days of terror in Paris. 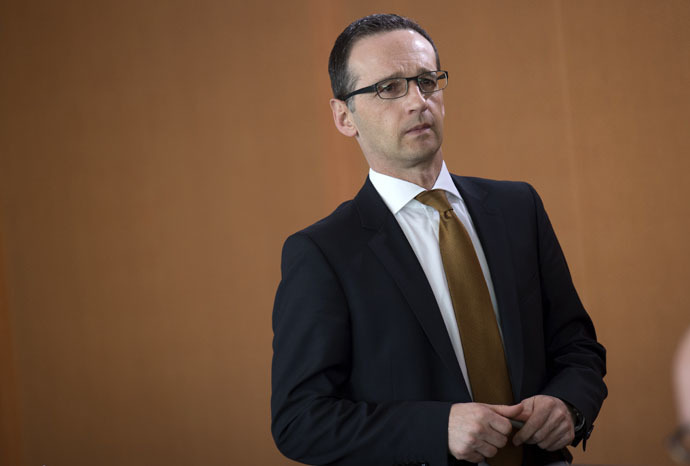 "If the organizers had a shred of decency they would simply cancel these demonstrations," Germany’s Justice Minister Heiko Maas told the Bild newspaper. Supporters and opponents of the Patriotic Europeans against the Islamization of the West (PEGIDA) group have been hitting the streets in Germany in record numbers since October. Initially, the rallies drew only a few hundred people. However, the numbers have grown every successive Monday since October 20, with the January 5 demo attracting over 18,000 people. The group accuses mainstream media of lying about immigration and dozens of other issues. 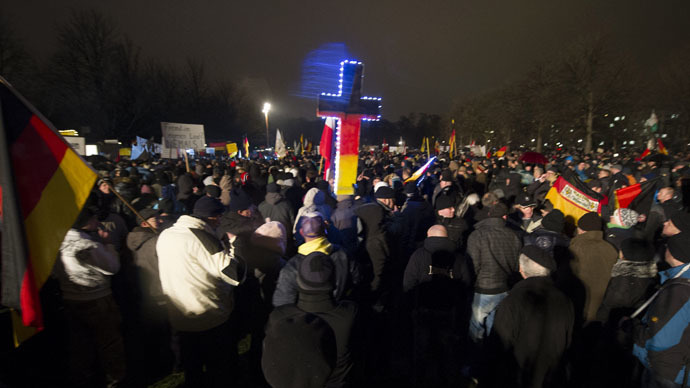 PEGIDA supporters refer to themselves as “patriots,” who are worried about the “watering down” of Germany’s Christian culture and values. The group is trying to distance itself from the far-right movement, coming out against “preachers of hate, regardless of what religion,” and “radicalism, regardless of whether religiously or politically motivated” in its mission statement. All uses of neo-Nazi symbols to represent the group have also been banned. Members advocate a “zero-tolerance” policy for asylum seekers with criminal convictions, but say they welcome the admission of war refugees and those fleeing religious or political persecution. Germany is the second most favored destination after the US for refugees and asylum seekers, according to a report by the Organization for Economic Co-operation and Development (OECD). In 2013, more than 450,000 people migrated to the country. Merkel and the majority of her cabinet will join a rally for an "open and tolerant Germany”, organized by Muslim leaders in Berlin on Tuesday, government spokesman Georg Streiter said. "We Muslims in Germany condemn the despicable terror attacks in France in the strongest terms," the group said in its invitation. "There is no justification in Islam for such acts." 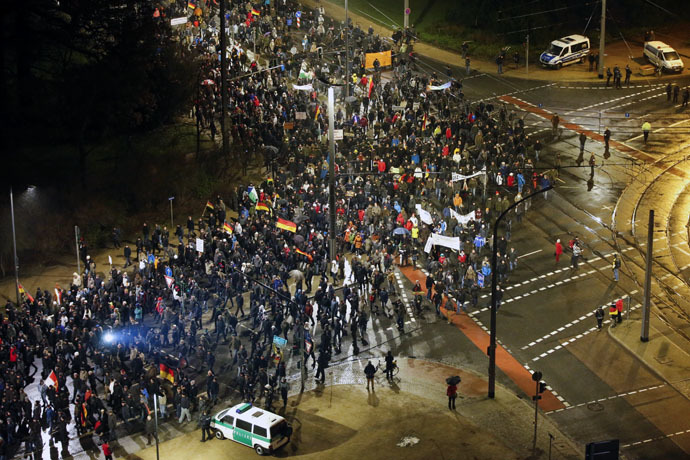 The organizers are planning to send a message to the PEGIDA movement. "Those who use racist and Islamophobic slogans strengthen the rabble-rousers, inciters of hatred and terrorists," the invitation added.